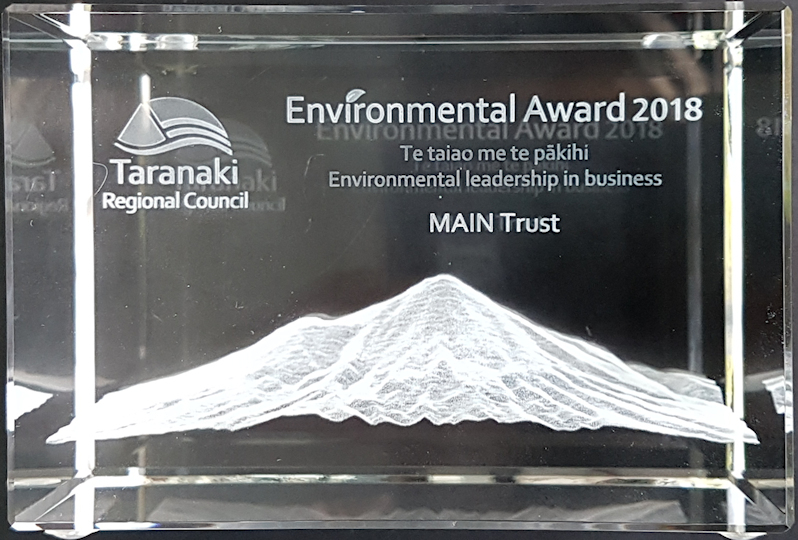 PestMapper is the online data entry and analysis platform developed by MAIN Trust NZ. Once you have collected data then you can use it to see how effective the pest-control project actually is. For example, a 'heatmap' animation of the data collected. 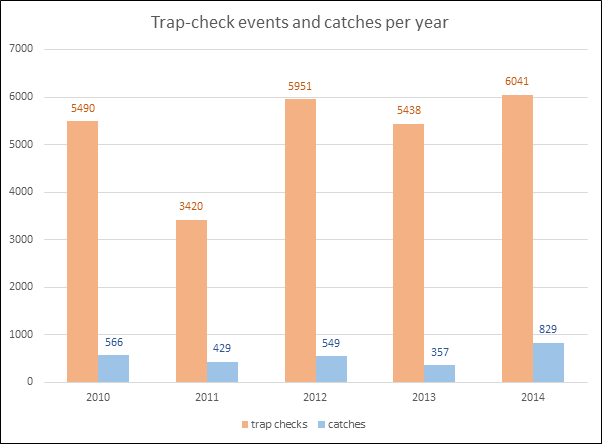 Once your data is in, it just takes a couple of clicks to see how the pest-trap operation is progressing. Here we see the total pest tally for each year. 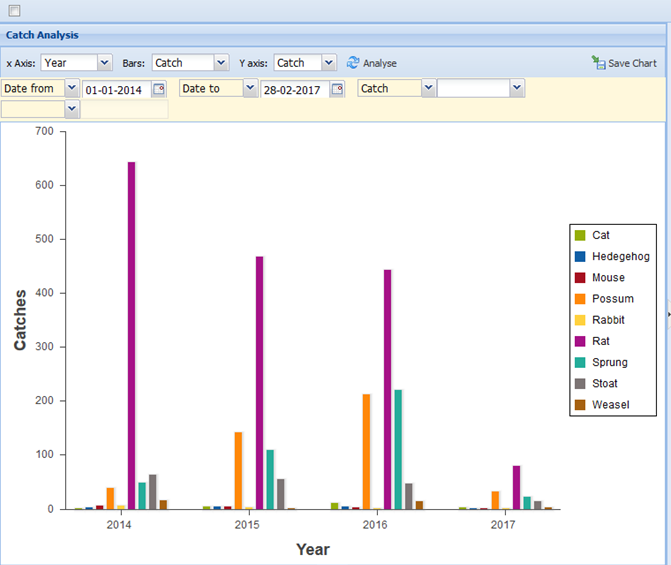 The different species caught can be seen below - lots of rats - the purple bar! Stoats are the grey bar. How much effort in checking the traps has been put in to catching the pests? What is the most effective bait to catch the pests? Thanks to the TSB Community Trust for making the development of PestMapper possible.